Is the predicted early week weakness in the Stock Market over??? To answer my own question, Yes it sure looks like it! Everything is pointing up and hour before the open. SPY and QQQ are up 1/5 and 1/10 a % in the premarket. DM is up over 3%. TLT down 1/2% GS up almost 1% and IBB up 1/5%. Not the greatest premarket numbers but everything is in line with a move up today. IBB is a good indicator as it will be the precursor of anything going seriously astray in the transition. I suspect we will see a serious drop in IBB before the information becomes public on transition problems. So keep an eye on it. Other than that, it looks like blast off into year end. I am long and looking to get longer today. In addition, I will be taking Break out triggers today. That, of course, can change as I reevaluate the market 5 to 15 min after the open using $ADD. If $ADD is below -500 Break Out day trades are off the table for me. If above +500 full speed ahead. In the middle, I only take the best setups and then watch them very closely. Breath has been on of the best indicators I have found to indicate wether the wind is at your back or you are in high-risk chop mode. Everyone has their own pet techniques they use and mine is $ADD. It would be interesting to see if anyone has done a study to see whether there is indeed a correlation between the performance of break out trades and $ADD levels. 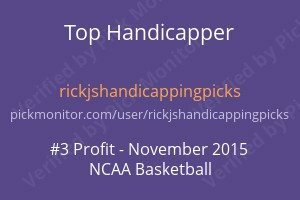 While I have the capability to perform back testing on my sports handicapping , I have no data to back test in the markets. But most likely this has been studied many times. 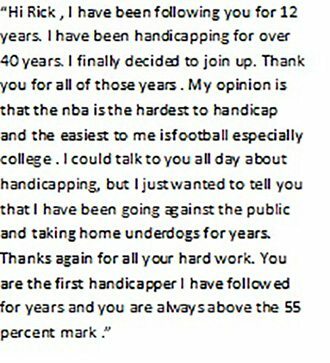 I have been getting several questions regarding how I apportion my time between handicapping and the markets. Both to me go hand in hand. I am at the computer at untold hours early in the morning both looking at the markets and also handicapping the day’s games. So much of my time is spent multi-tasking from 4:00 A.M until the markets open. Then its 100% on the markets until around 10 to 11 AM. Then back to Multi tasking. By 1 when the markets close most of my handicapping is finished and then its just waiting for the sports numbers to finally settle down to see where the games fall into my EV guidelines. By 1:00 I already have an idea of the games that could possibly be plays and they are highlighted in Excel so I can keep a watch on them. That is a shortened version of my routine. It’s not for everyone. I typically perform best away from other humans. Usually, the distraction of having to deal with the randomness of human behavior is much too distracting for me. I did it for years as a trial attorney, retail chain owner, and a full-time poker player. But as you get older you will find that life changes or at least your perspective on life changes. It has become more important to me to try to eliminate the negativity and self-destructiveness you see in being around many humans every day. That was my primary reason for quitting poker. I had thought you could filter it all out via headphones and music but there is not a filter that exists that I know of that will filter out human behavior at its worst. Looks like I got sidetracked this morning:) Happens when you are approaching 70! If anyone has any interest in how I view the world one only has to go to my movie page and view Max Von Sydow’s closing argument in “Snow falling on Cedars” I could not have said it better myself.